Scot Solberg is the son of Monte and Starla Solberg. Scot makes the third member of the family to be part of the agency. Scot is married to Chelsea (Merrill) from Judith Gap, Montana and they currently have three daughters, Emma, Shayla, and Tatum. Scot graduated from Rocky Mountain College in May of 2006 with a BA in Business Management and a minor in Communications. 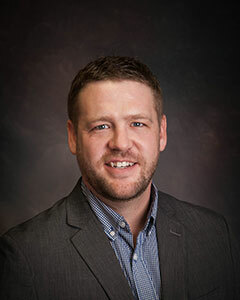 He started his insurance career at Western States Insurance in Billings in 2005, as a Commercial Small Accounts Producer. Together, Scot and Monte, run the agency and he is available to help with commercial, personal, or group and individual health insurance.